Shaun Carroll and Stephen Burton came out on top on the first day of the 2019 Challenge Tour season, winning events one and two. There was a hugely competitive field present in Wigan, with world champions such as Scott Waites and John Part competing, as well as former PDC ranking title winners Kevin Painter, Wes Newton and Andy Hamilton. 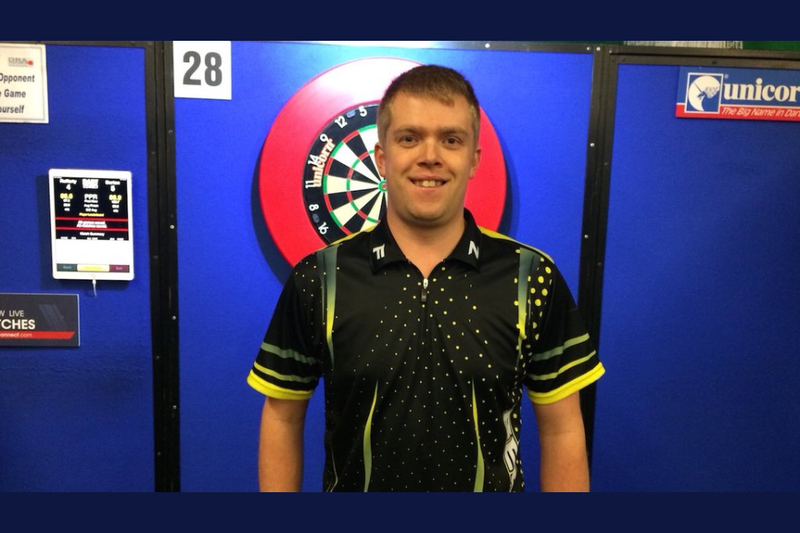 Shaun Carroll claimed his maiden PDC title in the first Challenge Tour event of 2019, coming through eight matches en route to beating Patrick Lynskey in the final. He defeated Wesley van Trijp, Vince Tipple, Dean Norman, Steve Hine and Lukas Wenig to make his way into the quarter finals, surviving match darts against Tipple. In the last 8, he defeated former Euro Tour semi finalist Ritchie Edhouse 5-2, before taking out 130 in a decider to beat Mick Todd and move into the final. His opponent here was Lynskey, who had got the better of Darren Johnson, Jeffrey de Graaf, Ian Lever, Callan Rydz, Mark Frost and William Borland before defeating Brett Claydon 5-2 in the semi final. Carroll took a 2-1 lead in the final, and never looked back, reeling off three legs on the spin to claim his first PDC title. It was an incredible turn around, considering he failed to win a single match at Q School last week. Fallon Sherrock and Lisa Ashton both impressed, winning through to the Last 64 and picking up £50 each, while Lorraine Winstanley was beaten in a decider against Ian Lever in the previous round. John Part, Kevin Painter, Andrew Gilding, Wes Newton and Scott Waites failed to make it into the last 64, meaning they didn’t earn any money in the first event, just proving how competitive the field is. Stephen Burton came out on top in the second event, defeating Nathan Rafferty in a decider in the final, at the end of a marathon day which finished just before half ten. Burton made his way into the quarter finals, defeating Egor Tvorogov, Chris White, Scott Darbyshire, Mike de Decker and Boris Koltsov without dropping more than three legs in any match. He saw off Michael Rasztovits 5-2 to book a spot in the semi finals, where he defeated Jason Wilson 5-3. His opponent in the final was the outstanding young prospect Nathan Rafferty, who had fallen two matches short at Q School last week. Rafferty had defeated Fallon Sherrock, Kevin Dowling, Thomas Gregory, Danny van Trijp, Kieran Evans and Darren Herewini to make the semi finals, where he brilliantly dispatched of the Brazilian star Diogo Portela 5-3. Burton was hoping for his first PDC title, and flew out of the blocks, opening up a 4-1 lead to go a leg away from victory. However, Nathan fought back to level the match at 4-4 and send it to a decider. The young man fired in a maximum, but missed a match dart at tops, allowing Burton to clean up 42 for a superb victory. The Ipswich man had began to show signs of his true quality at the end of 2018, and maybe a season in the second tier of PDC darts will do him the world of good. Andrew Gilding and Andy Hamilton made impressive runs to the quarter finals and last 16 respectively, with Gilding firing in a monster 114 average in his second round win over Stuart Kellett. Scott Waites and Wes Newton got off the mark by reaching the last 64, while Lisa Ashton got to the same stage, picking up another £50 with another impressive showing. Unfortunately, 3 time world champion John Part was knocked out in the second round, losing out 5-1 to Waites in the battle of World champions.